Skype knows it's much more than a platform for people to converse quickly and simply. It smartly understands that the real value of its technology lies in the human connections and how they affect people's day-to-day lives. So, what does it do about that? Well, the brand has been helping young leukemia patients fight loneliness; teamed up with YouTube stars JacksGap for a new documentary series focusing on three women who use Skype in unique ways; and connected Guardians of the Galaxy fans with the cast and crew. And that's just in the past few weeks. Because Skype understands its technology's inherent value to its users, the various projects, stunts, advertising messages and more fit with this idea of human connection. Skype is present on all of its social platforms, but really, the one to follow is its YouTube account. The brand posts several different video series (like the one below), and the visuals are stunning. In recent spots, the brand has gone for informative (look how well it works on Xbox!) and humorous, like the spot below. 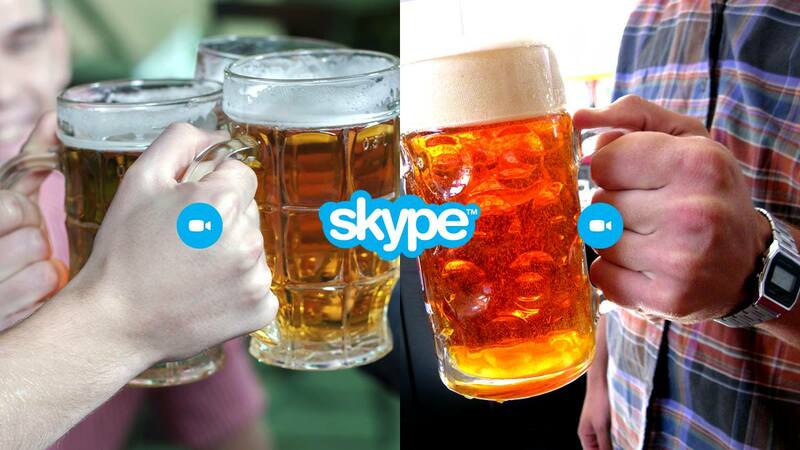 Skype famously created a celebrated series of ads last year called "Family Portraits." Especially moving was the tearjerker "Born Friends," as it wasn't about the technology but the connections people make through Skype. Skype was founded in 2003 by the same guys who bought Kazaa from the Estonian programmers who developed it. Remember Kazaa? It was a popular peer-to-peer file sharing network, sort of like Napster. With Skype, the Kazaa peer-to-peer platform was leveraged and used for voice transmission. In 2011, Microsoft acquired Skype for $8.5 billion. In January, data was released that showed that Skype accounted for 40 percent of the entire conventional international telecom market. So, four minutes out of every 10 spent making international phone calls on mobile networks and landlines are spent on Skype. People use Skype in a variety of ways, including therapy appointments.